International Monetary Fund boss Christine Lagarde wimped out of speaking at Smith College’s commencement after a student petition accused the fund of supporting “patriarchal systems.” The fund has made many mistakes over the years. But that critique is mostly old hat. 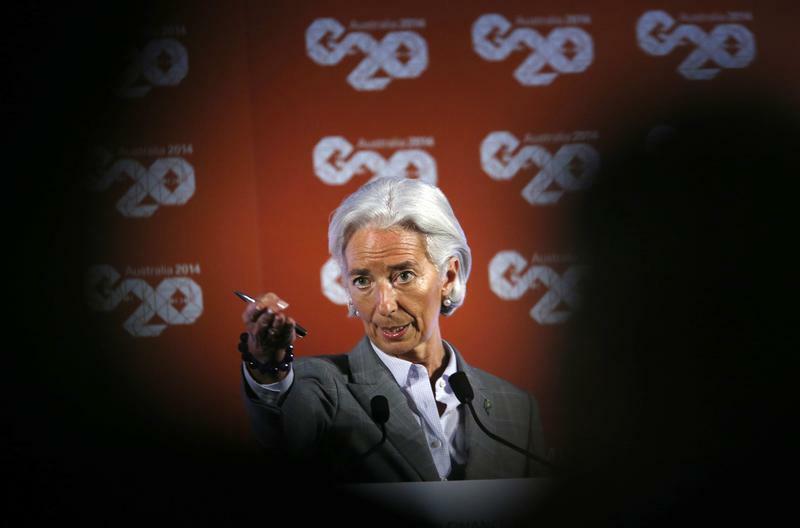 The IMF, particularly under Lagarde, has fostered social spending and championed female rights. Here’s what she ought to have told the 672 women graduating from the university in Northampton, Massachusetts on May 18. Congratulations on graduating from one of the world’s greatest women’s colleges. I understand that many of you had reservations about having me as your speaker. Student opposition also recently caused former Secretary of State Condoleezza Rice to cancel a similar address to the students at Rutgers. But throughout my career, whether as an international lawyer or a French politician, I have always believed in engaging people with whom I most disagree. I am sure this is precisely the sort of approach the extraordinary faculty here at Smith has fostered in all of you, too. The institution I lead, not unlike this amazing university founded by the brave and fiercely independent Sophia Smith 143 years ago, can rightly claim a proud record of promoting the economic well-being and careers of women. One criticism made of the International Monetary Fund is that we force borrowing countries to slash social spending – which takes a heavy toll on underprivileged women. This may have been a reasonable charge to make a decade or two ago. But in recent years the IMF has urged countries not to curb government programs that help women or the very poor. A study we undertook in 2011, for example, showed that education and health spending was on average 20 percent higher and 40 percent higher per capita, respectively, five years after governments adopted one of our programs. We only want countries to cut subsidies that provide assistance to those who don’t need it. What’s more, the IMF is constantly urging governments to take action to get more women into the workplace. Our research shows that if the number of female workers rose to the same level as men in the United Arab Emirates, over time its economy would expand by 12 percent. In Japan it would grow 9 percent. Even here in the United States, balancing male-female workforce participation would add 5 percent to economic growth. Such calculations are one of the best ways to win over skeptics. Smith College can claim so many alumnae who have enriched our world, from Julia Child to Gloria Steinem, Nancy Reagan to Sylvia Plath. I am proud to say the IMF has also helped launch careers for top women in the fields of finance and government, besides becoming the first major multinational organization to choose a female boss – c’est moi. I also think of my former IMF colleague Caroline Atkinson, who now has a senior position in the Obama administration, or Nemat Shafik, who will soon be the deputy governor at the Bank of England. Of course, I understand the IMF is not always loveable. Let’s face it, governments only seek our help when something has gone badly wrong. But we care about more than financial stability. We understand that promoting female education and career success is both fair and economically rational. It is in this spirit that I have come to you today, despite many of your protestations. Thank you and I look forward to following the great work you will all no doubt bring not just to womankind – but all of humankind. International Monetary Fund (IMF) Managing Director Christine Lagarde takes a question at a news conference during the G20 Central Bank Governors and Finance Ministers annual meeting in Sydney, February 23, 2014. Smith College in Northampton, Massachusetts, said that Brown University President Ruth Simmons would instead address graduates on May 18. The change came after students circulated an online petition asking that Lagarde, a French politician who has headed the IMF since 2011, be un-invited.